Signing a contract without understanding the terms and conditions can be devastating when there is a breach of contract lawsuit. With the effective legal advice from a Colorado contract law attorney, you can get a better understanding of your legal obligations and rights. This way, you can also negotiate better terms and include importance clauses for attorney fees, damages etc. Although there are many good reasons litigate a breach of contract action in Denver courts, some of the more common mistakes made by either plaintiffs and defendants include arguments where the other side had a legal excuse for their actions. Some cases involving a binding contract can be resolved by having a Colorado contract law attorney assess the facts. If you have been wrongly accused of breaching a contract or simply need help with the terms and conditions, proving your case in court can be difficult. For this reason, contacting experienced Colorado contract law firm such as Watson & Associates, LLC can be your smartest defense. Anticipating Breach of Contract Litigation? The court system can be very intimidating. Many Colorado plaintiffs and defendants mistakenly interpret the contract clauses or presume that a court will rule in their favor. In many cases, the result is far from the expectation. 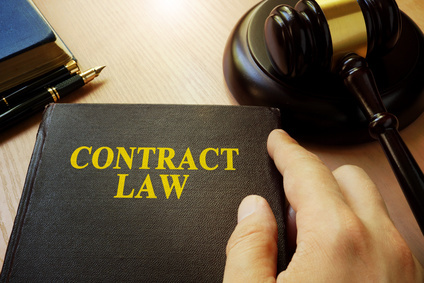 Frequently, when a contract litigation case is examined by a skilled Colorado contract Law attorney, potential downfalls are uncovered when applying to the facts to the terms and conditions of the contract. Before filing a breach of contract lawsuit or responding to a lawsuit, seek the legal advice of Watson’s Colorado contract law attorneys. At Watson & Associates, LLC our Denver contract lawyers frequently help companies and small businesses to draft better agreements and to defend allegations of breach of contract. Each contract law lawyer will examine the underlying purpose of the contract and help you to implement terns and conditions that are fair and reasonable. We look at every contract dispute as though it were going before a judge at court. As Denver contract lawyers, we represent individuals and businesses through the state of Colorado in a wide variety of contract lawyer matters. If litigation is imminent, we represent plaintiffs and defendants. For A Free Initial Consultation, Call a Denver Contract Lawyer at 720-941-7200. Contract drafting and review. The initial stages of a binding contract formation is critical to the future relationship of the parties. Most contract disputes can be handled at this stage. Watson’s Denver contract lawyers draft various types of agreements including commercial contract, employment agreements, independent contractor agreement, construction , subcontractor agreements and more. We also review agreements for viability and protect our clients’ interest. Breach of contract dispute lawyers. When there appears to be a breach of contract during the performance stage, our contract attorneys assess the facts and discuss the next steps. If the other side alleges a breach, then we immediately look to see whether there are any legal defenses to the alleged breach. These are all critical steps before any costly litigation takes place. Business contracts. When companies are at the initial formation stages, having the right business contracts in place is critical. If another company has presented you with a contract to sign, then you should get legal review of the agreement. Watson’s business contract attorneys provide help with employment contracts, UCC contracts and more. Contract litigation lawyers. When neither side can resolve a contract dispute, sometimes legal action is required. At Watson, our breach of contract lawyers represent plaintiffs and defendants in lawsuits before Colorado courts. We will assign a contract law attorney that can get to the heart of the dispute and resolve the matter in the most cost-effective manner. Legal advice about common law contract legal theory. Mediation, arbitration, or litigation of contract disputes. Depending on the type of contract at issue, the remedies and defenses can be different. At Watson, our Denver contract lawyers also help with unique situations such as federal government contracts, mergers and acquisitions, contract novations and more. Our goal is to prevent some of the mist dangerous and costly mistakes seen in the various areas of contract law. Statewide help: For help with a binding contract and contract legal advice with breach of contract law remedies, need a Colorado contract law attorney, legal representation or common law contract legal advice, our Denver breach of contract attorneys help small and large businesses in Denver CO, Colorado Springs, Aurora, Fort Collins, Lakewood, Thornton, Arvada, Westminster, Pueblo, Centennial, Boulder, Highlands Ranch, Greeley, Longmont, Loveland, Grand Junction; Columbine Valley, Superior, Louisville, Castle Pines Village; Cherry Creek CO, Holly Hills, Morrison, Cherry Hills Village, Bow Mar, Woodmoor, Centennial and more. Call our Denver contract law lawyers for help with your business legal matters. What are Breach of Contract Law Remedies? Contract Attorneys – How Can Contract Attorneys Help? What is a Contract and Legally Binding Contract Terms? Litigating common law breach remedies. If you are at the initial contract formation stage, need to address a potential breach of contract dispute, or need help with contract litigation, call Watson & Associates, LLC Colorado contract law attorneys for a FREE initial consultation. 720-941-7200.